Whether your brand is trying to reach the Action Sports demographic at Winter Resorts or create beautiful works of art for signage at bars and restaurants, the uses for our Snowboards are only limited by your imagination. All of our snowboards are premium boards, because all of us at Surf Snow Promo know the importance of a high quality board when hitting the slopes. 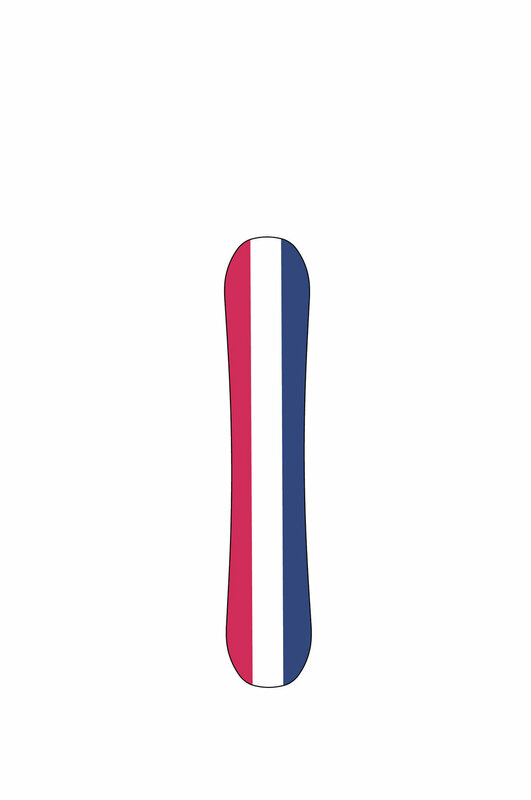 There's still time to order boards before the snow flies! 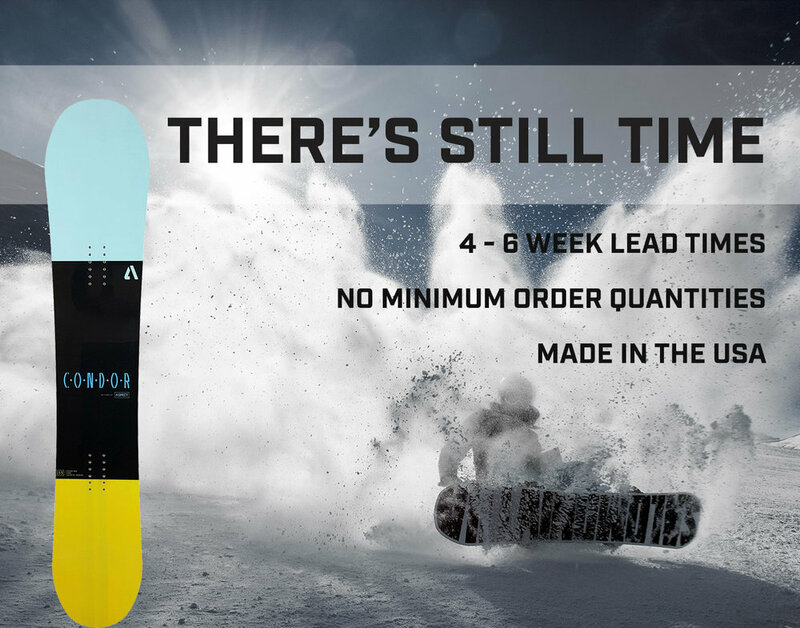 If you're looking for a quick turnaround and low minimum order quantities, we offer American-made snowboard in 4 - 6 weeks! If you're looking for a snowboard for display purposes, that can't be ridden, but is still a premium board, our Canadian Maple Wooden Snowboards are perfect for you! They feature full color, high-res UV graphics, displaying your brand in a beautiful, unique way. 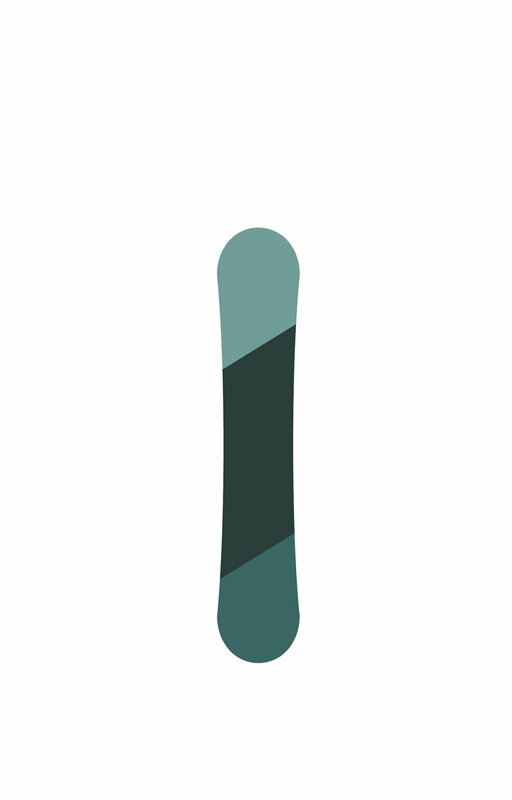 Check out our snowboard sell sheets below, and the rest of our sell sheets here. Our designers love creating vibrant eye-catching designs for on/off premise display signs, dealer loaders, incentives & awards, executive gifts and special events. See more of our original designs here!